CYPARK forming bolinger band squeeze. Will it breakout the squeeze? 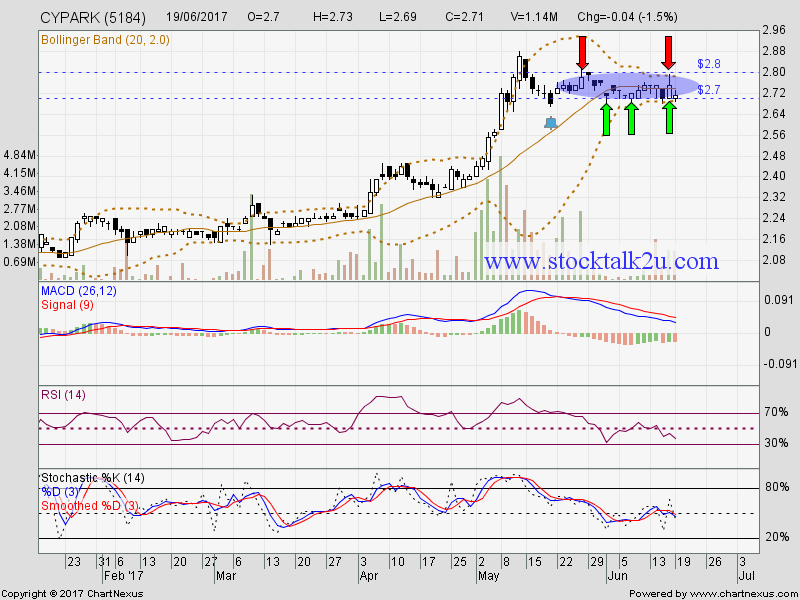 Immediate support @ RM2.70 level. Subsequent support @ RM2.65 level. 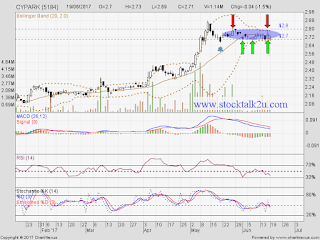 Immediate resistance @ RM2.80 level. Subsequent resistance @ RM2.86 level.